Exhibitor registration is now open for the 7th annual Toronto Design Offsite Festival (TO DO). We’re looking for independent designers, design firms, academic and cultural institutions, students, and businesses to participate! TO DO is the ideal platform for Canadian and Toronto-based designers eager for exposure, engagement, and the opportunity to connect with our city’s dynamic design community. Last year’s Festival included 85+ exhibitions,events, and window installations, featuring the work of 400+ designers and artists. Oh, and did we mention there were over 99,000 attendees? As an exhibitor registering for the 2017 Festival, you will have complete control over your exhibit or installation. Designers are responsible for arranging their own venue in Toronto, and can choose spaces such as galleries and studios, or set up in local businesses, cafes, schools, or cinemas, to showcase their work. Exhibitors will receive promotion through TO DO’s website, mobile app, social media channels, media relations, and e-newsletter. If you’re a Toronto-based designer looking to expand your brand and showcase your talent, register for TO DO 2017 today (while early bird rates still apply)! 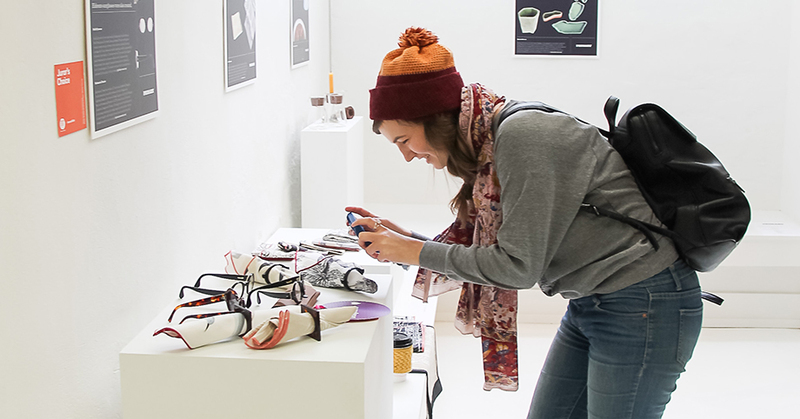 This opportunity to meet new designers, educators, curators, and manufacturers comes only once a year! Don’t miss your chance to participate in Toronto’s largest cultural celebration of contemporary Canadian design. To register as an exhibitor, click here, and complete our online registration form. Have questions? Check out our Frequently Asked Questions (FAQ).